India’s second mission to the Moon, Chandrayaan-2 is a major science mission with an Orbiter, Lander and Rover, now scheduled for an early 2019 launch. The suite of 13 instruments / science investigative experiments are nearly readied to address a number of studies related to the origin and evolution of the Moon. 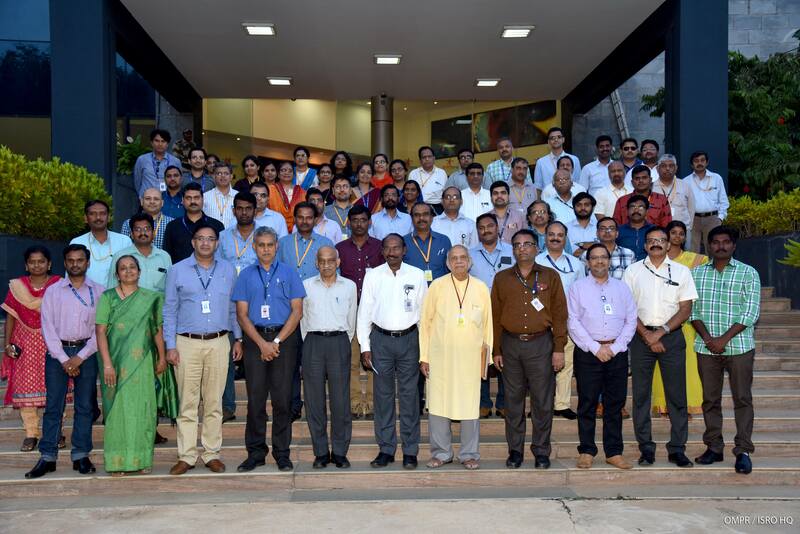 In this context, a Lunar Science Meet was organized at ISRO HQ on Sept 27th to bring together scientists from various research institutes, colleges and ISRO centers in the country, who are involved or associated with Science of the Moon and Science on the Moon. The nearly 70 scientists / technologists, actively participated in the thematic discussions addressing water and volatiles on the Moon, surface and sub-surface composition, studies on near-surface plasma environment, lunar ionosphere and on potential science arising from Chandrayaan-2 observations, from pre and post landing data. During the final session, participants also discussed studies to be undertaken for future meetings, identified areas requiring further strengthening and potential new areas of lunar science research that need to be initiated. The meeting closed with a brief interaction with Chairman, ISRO who emphasized the importance ISRO attaches to the Chandrayaan-2 mission, outlined ISRO’s future planetary exploration programs and expressed the need to further strengthen the growing Planetary science community in the country.